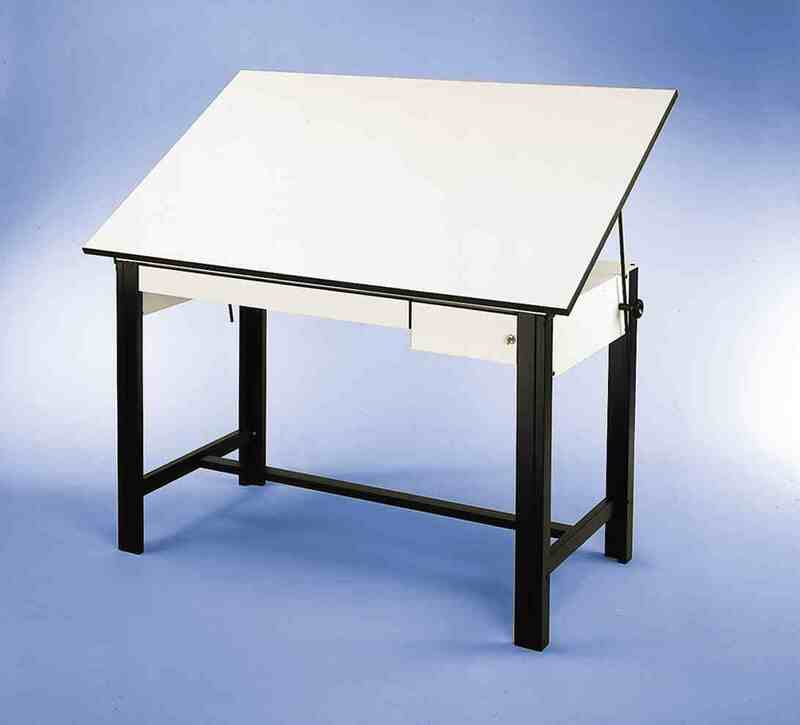 There are many different drafting tables available, but one of the most important considerations is the appropriate size for an office. A drafter or architect might work in a home office or at a traditional office in a construction company or architectural firm. Having the incorrect size of equipment in an office can make it difficult to reach a tabletop surface or maintain proper lighting. Tables primarily designed for drafting purposes are made to slant at a variety of angles that may require additional space in an office space. In addition, the legs of tables are often adjustable, allowing someone to stand while working on the surface. In a work or home office used by multiple people, it is vital to have adjustable surfaces to meet a variety of needs. One person may want to sit on a hard chair while working at a table designed for drafting while another individual may want to use a soft chair on wheels. If there is a wheelchair user needing to use office equipment, then making sure a surface is easy to reach is also imperative. The natural and artificial lighting in a room is also an important consideration. Someone working at a table designed for drafting may use the surface to create artistic drawings that require light from windows instead of lamps. Architects and drafters have an assortment of paper sizes available that require a particular size of the drafting table. Choosing a tabletop that does not require folding paper, parchment or vellum makes life easier while completing work at a traditional or home office. An individual must also think about whether they are using an elevated or normal height chair. In most cases, a larger tabletop surface is a better investment when someone plans to use the furniture for many years. Alternatively, a college student frequently moving to different residence halls or needing a portable device to take to different classrooms will want a smaller table instead. Before ordering a table designed for drafting, measure the room carefully and consider the other furniture in the space.